First announced at CES earlier this year, the Jewel and Elegant models from Huawei will be up for sale on 3 May in the US. Best Buy, Newegg and B&H Photo are offering the Elegant for $499.99 and $599.99 for the Jewel while Best Buy and Newegg will give $50 off on each and B&H Photo will give a $50 gift card. It's a bit on the pricier side considering the first Huawei Watch cost $349 and has even gone down in price on Amazon. Still, if you're looking for a more female-centric smartwatch, the new Huawei options may be your best bet. 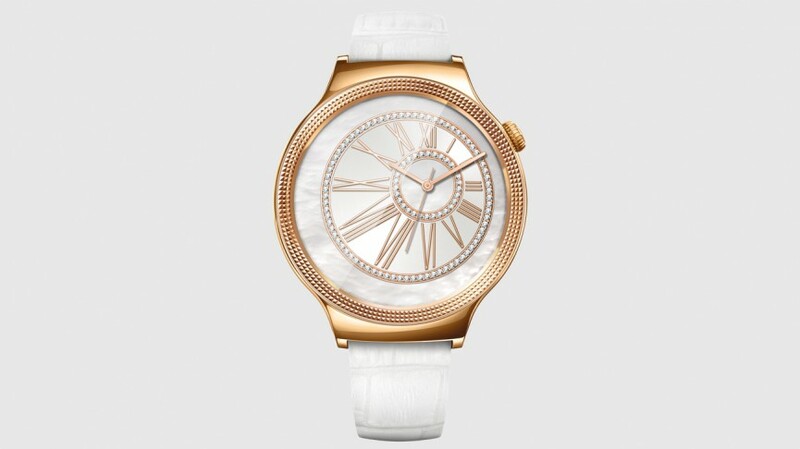 The Huawei Watch Elegant, the more subtle of the two, has a curved, rose gold-plated body and an embossed top ring design where the Jewel has a watch face that is surrounded by 68 Swarovski Zirconia gemstones. Each new Watch also comes with exclusive watch faces to match the exteriors. Despite being catered towards women, the watches are still slightly bigger in dimension at 44 x 44 x 11.3mm though they remain the same thickness. Internally, the two wearables share identical innards to their predecessor so you're essentially just buying a new rather expensive look for your wrist.